UPDATE 12/27/18: State environmental officials have extended the public comment period for the proposed consent order. The new deadline for submitting comments on the draft order is Jan. 7, 2019. For more information, please review the North Carolina Department of Environmental Quality’s Fact Sheet. Since news broke in June 2017 that GenX had been detected in the drinking water system of the Cape Fear Public Utility Authority and the Cape Fear River, the North Carolina Coastal Federation has worked to provide leadership to affected communities and decision-makers. GenX is an industrial compound associated with adverse human health and ecological effects. GenX and other emerging compounds have been found near Chemours, a chemical plant near Fayetteville that produces these compounds in the manufacture of Teflon. In addition to the Cape Fear River, GenX has been found in the environment close to the plant and throughout North Carolina, including in samples of surface water, groundwater and rainwater, as well as in soil and air. 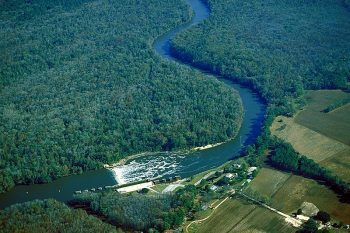 Last week, the Southern Environmental Law Center, on behalf of Cape Fear River Watch and N.C. Department of Environmental Quality (DEQ) signed a proposed consent order with Chemours. If approved by a Bladen County Superior Judge, the agreement would require Chemours to limit discharges of PFAS (perfluoroalkyl and polyfluoroalkyl substances, including GenX). The agreement also includes providing water supplies or treatment equipment to residents whose water shows levels of PFAS that are above the state health goal. The state health goal for GenX in drinking water is currently 140 parts per trillion; however, it could drop by nearly one-fifth if state regulators choose to use preliminary data from the U.S. Environmental Protection Agency’s (EPA) draft toxicity assessment published earlier this month. The consent order also requires Chemours to pay a $12 million civil penalty, the largest ever levied by DEQ, in addition to $1 million in investigative costs. Further, the order requires Chemours to take solid steps towards reducing pollution from the facility, while keeping air pollution and contaminated water from leaving the plant. Chemours is required to conduct studies to determine the extent of its contamination and the movement of pollution from the facility, as well as health studies on at least five PFAS. Chemours must reduce GenX air emissions by at least 92 percent beginning Dec. 31, 2018 and by at least 99 percent beginning Dec. 31, 2019. These enforceable commitments are backed by significant penalties against the company. Chemours will continue to collect all discharge water from its production facility and will commit to reductions in stormwater and non-process water in addition to cleaning up on-site groundwater in accordance with state rules. The federation has been actively involved in all aspects of the emerging contaminant issue since the public disclosure in 2017 and remains fully engaged. Please visit www.nccoast.org/genx for current information on monitoring results and public health research, as well as current and potential policy, regulatory and legislative needs and actions. The public is invited to submit comments on the agreement; comments are due by Dec. 21 and can be emailed to comments.chemours@ncdenr.gov or mailed to Assistant Secretary’s office, RE: Chemours Public Comments 1601 Mail Service Center, Raleigh, N.C. 27699-1601.